Wendy Littlefield honored her daughter's memory by donating her kidney, and saved Emily Pooler's life. You could hardly blame Wendy Littlefield if she lost faith for a little while in the kindness of the universe. 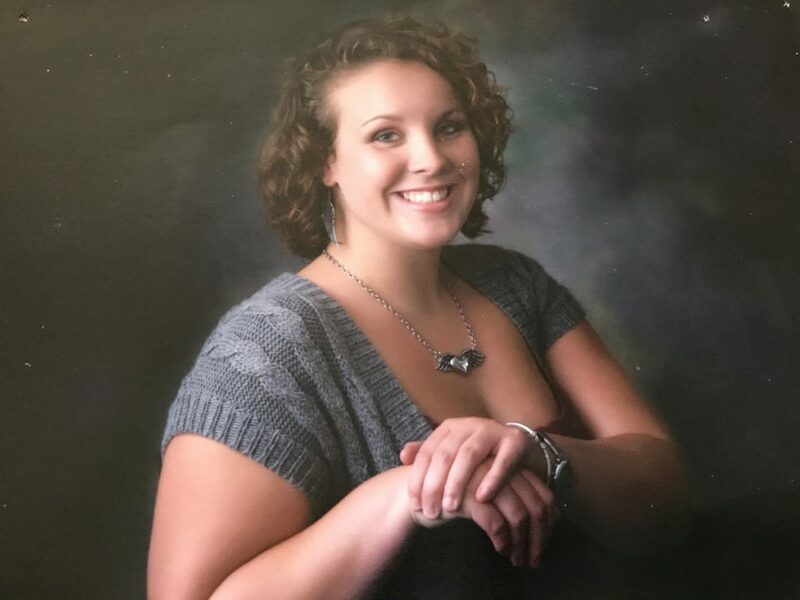 On Memorial Day in 2010, her 18-year-old daughter Ashleigh collapsed in her mother’s driveway while coming home for a family barbecue. Ashleigh died soon thereafter and her grieving mother had two choices: Descend into a black ocean of despair or find a way to turn her grief into something positive. Wendy, a Mount Desert Island High School bookkeeper, chose the latter. 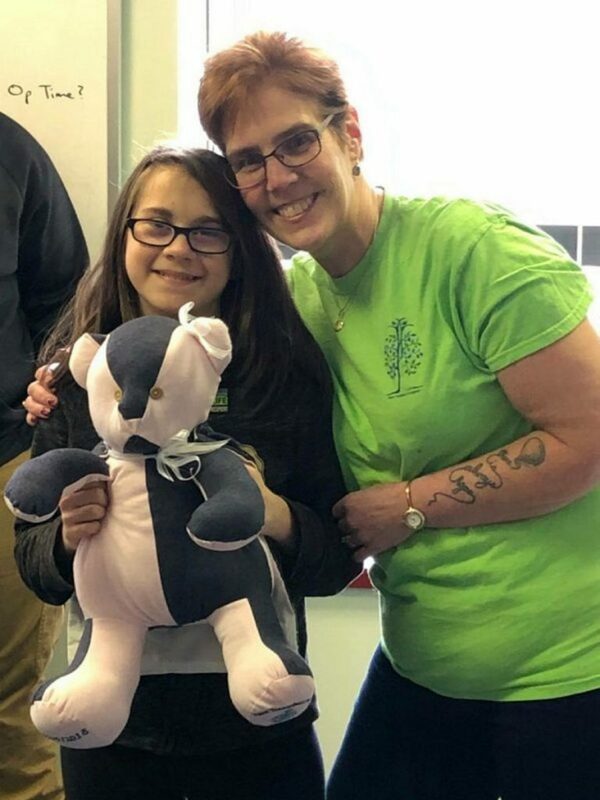 As a result, a 12-year-old Auburn girl is alive and well and even making the school honor roll just three months after receiving a donated kidney. If the story of Wendy Littlefield and Emily Pooler sounds a bit like a fairy tale, Wendy for one won’t try to convince you otherwise. Eight years after losing her daughter, she’s now convinced that fate or maybe even a divine presence may have stepped in to bring about something good. 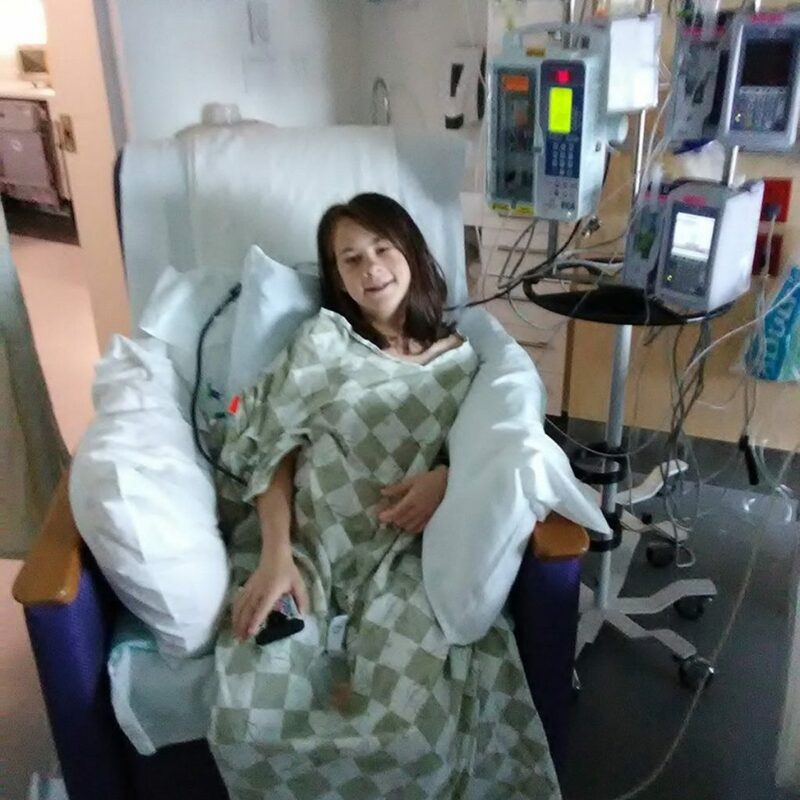 Emily Pooler, of Auburn, suffered from stage 4 chronic kidney disease and was desperately in need of a kidney donor. Her family took to social media to ask for help and the response was enormous — one Facebook video of Emily alone got more than 10,000 views. But the odds were stacked against the girl. A rare blood type and a rapidly progressing disease meant time was running out, according to Juan Palma-Vargas, donation director at the Maine Transplant Program. There was a massive response to online pleas for donors, he said, but no one was able to provide what Emily needed. Then along came Wendy, on her own personal mission to honor the memory of her daughter, by then eight years in her grave. In the spring of 2010, Ashleigh Littlefield was a perfectly normal teenager at the start of her life. She was in college studying cosmetology and showed no signs that anything was wrong. Then, on Memorial Day, she drove to her parents’ house, parked and walked up the driveway to her childhood home. She had her hand on the doorknob when things took a tragic turn. “She never made it into the house,” Wendy said. Ashleigh collapsed from a pulmonary embolism, a condition that would claim her life soon after she was taken to a hospital. Before she died, Ashleigh had become an organ donor. It was a matter that became important to the teen, her mother said, after one of her school friends had died and donated. Because Ashleigh had died so suddenly, all that she could donate were her corneas and some tissue. And while her mother spent years doing various things to cope with her daughter’s death — including educating herself and others about undiagnosed blood-clotting issues — the matter of organ donation never quite left her mind. Wendy started looking into it. It turned out there was a lot she didn’t know about organ donation. Not so. Almost anyone can become a donor, as it turns out, whether or not they know anyone personally who is in need. According to Palma-Vargas, it takes several months for a living donor to complete the evaluation process. By late September — Sept. 26, to be precise — Wendy was ready, and she underwent surgery to donate her kidney. At that time she had not heard about Emily Pooler or the 12-year-old’s plight. In fact, Wendy had no idea where her kidney might end up. “I figured that because I was a middle-aged woman, it would go to a middle-aged person,” she said. At some point in her recovery, Wendy asked a nurse how her kidney was doing. All the nurse could tell her was that the kidney had been taken to the Barbara Bush Children’s floor. Exactly right, as it happens. Somewhere on another floor, Emily Pooler was getting the transplant she had so desperately needed. If not for Wendy donating her kidney when she did, the 12-year-old’s prognosis was bleak. That might have been the end of the fairy tale if things had turned out differently. Emily and her family might have gone one way, Wendy Littlefield another. Wendy had to recover from the physical rigors of donating an organ, after all. Emily had to recover after receiving it. Both of them did remarkably well. “(Emily) was up and walking — at her request — just six hours after transplant,” said Alison Pooler, Emily’s mother. Doctors advised Emily’s family that she might not be active enough for school until Christmas. She was back by Halloween. Wendy, too, began healing faster than expected. Two weeks after parting ways with a kidney, she was back to work. Two months out, there were hardly any signs she had undergone surgery. She was healing, both physically and emotionally. Then a transplant coordinator advised her that Emily and her family wanted to meet the donor who had helped to save the girl’s life. Such a meeting is not uncommon. There was nothing ordinary about this meeting, however. During one of Emily’s recent follow-up appointments at the hospital, Wendy, her husband and two children were invited into the room. For Wendy, it was a life-changing moment. That fact is not lost on Emily’s parents, Alison and Robert. “We love Wendy so much for what she did, and saving our daughter’s life,” Alison said. Wendy accepts the family’s gratitude, of course. But she insists that the transplant did as much for her as it did for Emily. It helped her cope with the loss of her own daughter in a significant way. Emily is doing all of those things, according to her mother. The girl’s blood work looks good and her energy levels have returned to normal — enough so that Emily was attending Auburn Middle School again and making the honor roll. The families have stayed in almost constant contact. Wendy and Alison have become fast friends and plan to spend part of the holidays together. To Wendy, it feels like some sense of finality, or like the closing of a circle. Both Wendy and Alison muse about the timing of it all. What might have happened if Wendy hadn’t decided to part ways with her kidney when she did? What if her daughter Ashleigh hadn’t provided inspiration by becoming so passionate about organ donation? What if Wendy’s kidney hadn’t been compatible? “It was meant to be,” Alison said. Wendy will next see Emily and her family Tuesday, when Emily goes back to Maine Medical Center for another follow-up appointment. The same day, Wendy will be at a transplant conference at the hospital to talk about her experience. Does she mind talking about it all over again?